The Oakland San Francisco Bay bridge has been decorated with lights that perform a light show. 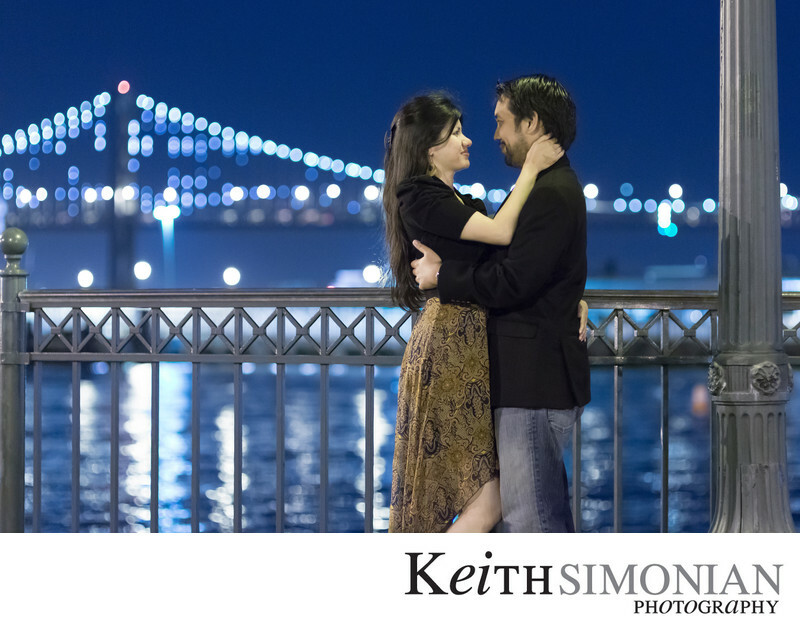 Pier 14 in San Francisco offers wonderful views of the city and Bay Bridge which can be used as a backdrop for engagement photos. Pier 14 in San Francisco, California is located Embarcadero and Mission St. Location: Pier 14 San Francisco, CA 94105. 1/20; f/2.0; ISO 5000; 85.0 mm.